I had really hoped to get to this post before the Christmas holidays, but it just didn't happen. 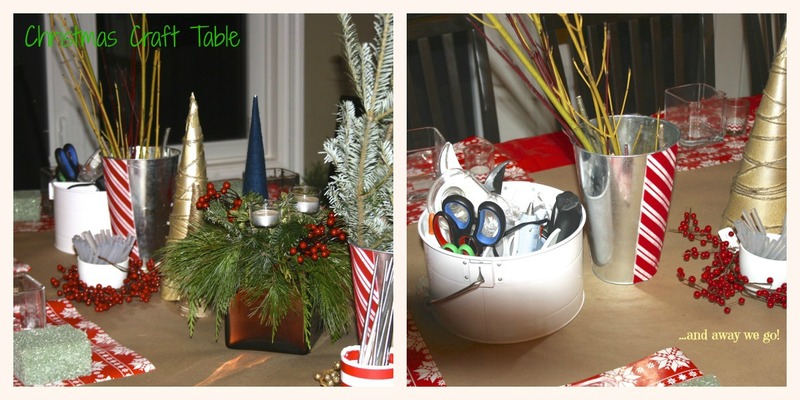 I am sure everyone is Christmased out... but maybe you can save/pin an idea for next year! 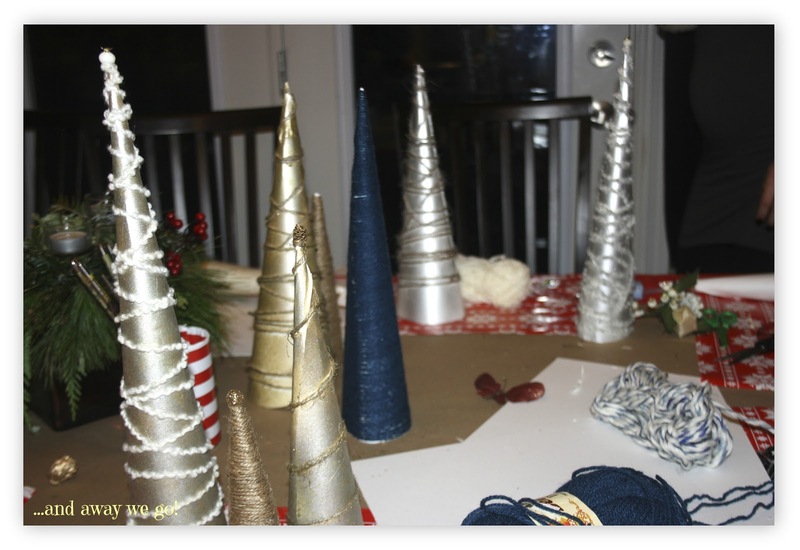 Early in December, my friend Jenn and I decided to have our first Christmas Craft Party. Jenn is like me in that she absolutely loves the details and creativity that go along with party planning. 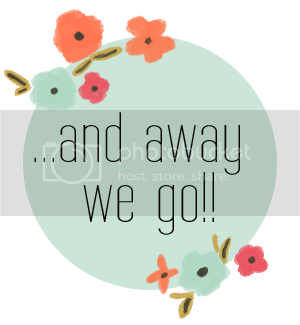 We wanted to host an event for some of our close girlfriends, so that we could take some time to visit, share some wine and treats, and make a couple holiday crafts to display in our homes. Before our friends arrived we set out all of the materials that would be needed for the two crafts we would be making, A Christmas centre piece and a Holiday Topiary (aka a decorated paper cone). Jenn and I are both teachers, so we also understand the importance of a good exemplar (teacher talk for "example")! We had a lot of fun setting the table so that each lady would have a place to work. The centre pieces were simply square vases, with a square of florist foam, greenery and a votive holder. We provided many options for greenery, twigs, twine, ribbon, bells and berries. The topiaries were made from rolled bristle board and then decorated with yarn and twine and spray painted a variety of colours... pretty easy! 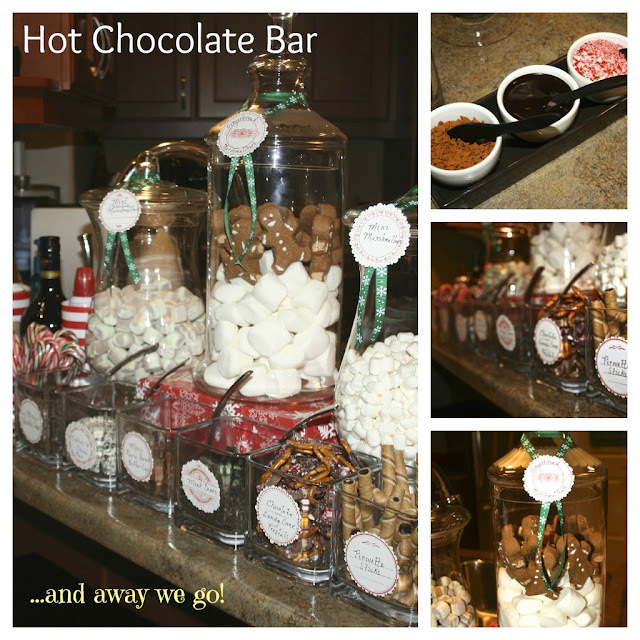 We served some holiday cocktails, appetizers and Christmas cookies, but the showstopper was the Hot Chocolate Bar! Everyone had fun loading their hot chocolate up with tasty toppings! Jenn and I were so impressed with every one's skill! Even our friends who were intimidated by (or completely unimpressed with) the idea of "Crafting" on a Friday night had a good time and everyone was so proud of their work! ...an updated "My Family" page!